The 1980’s gave the Heavy Metal genre recognition after a full decade of being looked as a despised “noise” that started with Led Zepplin and Black Sabbath. I can honestly say that even with the pure metal and cheesy hair metal, the 1980s was best decade for the genre. After Iron Maiden & Judas Priest started the metal boom in the beginning of the decade, metal in general started expanding into new diversity around the world to trash metal, progressive metal, black metal, speed metal, hair metal, and so many more. So many bands that came out this decade are still remembered as one of the best. Unfortunately the 1990s metal isn’t as powerful or as recognized as the 1980s. At this time around, metal was facing a new genre of music called Grunge and Alternative Rock that took the musical spotlight from everyone. Plus the evolution of the genre throughout the 1990s went sour when they reached the awfulness of Nu Metal and big names like Metallica sold out with different, tasteless musical directions. 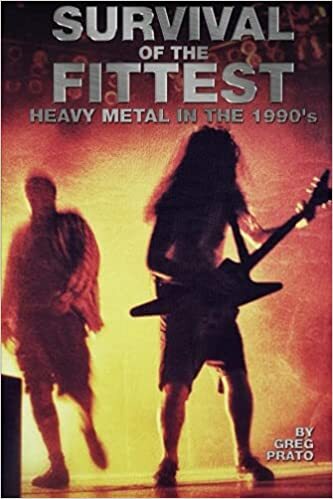 But that’s not to say that metal in the 1990s were at all bad because we had new bands that went into the positive direction of metal when transforming into folk metal, sludge metal, technical metal, and other metal that sounds and feels as impacting as metal in the 1980s. If you don’t believe me, check out past Top 10 Albums list for each year of the the 1990s.